Paterson, New Jersey was the town in the very new United States to be designed for manufacturing. 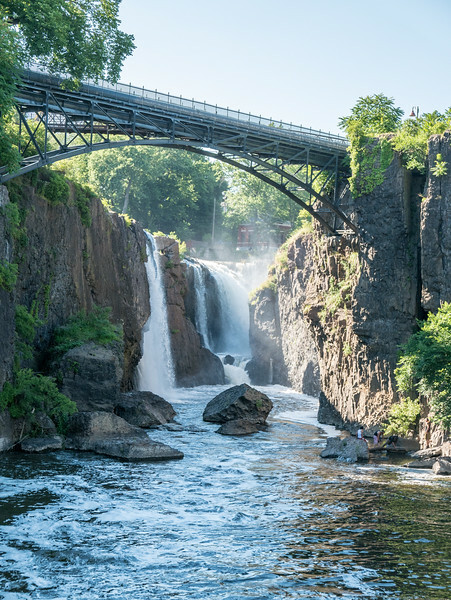 It's site was chosen because steam power was still unreliable for most uses, and Paterson has a dandy waterfall and surrounding geography that made it relatively easy to carve out water channels to power hundreds of factory water wheels and turbines. All those industrial buildings were virtually abandoned after world war II, and it wasn't until the 1990's that preservation efforts began. The results are starting to look pretty neet .